Hello and happy Friday! I hope you have had a good week so far – not long till the weekend – yay!!! It was my husband’s birthday on Wednesday so I thought I would pop in real quick today to share the card that I made for him from our children – he loved it! 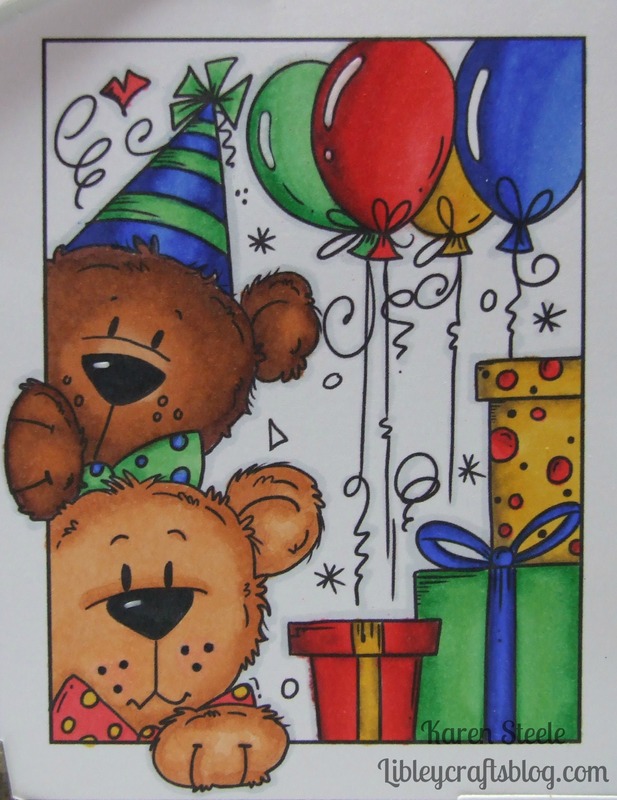 This cute image is from Bugaboo Stamps called Frame it – Bears Birthday. 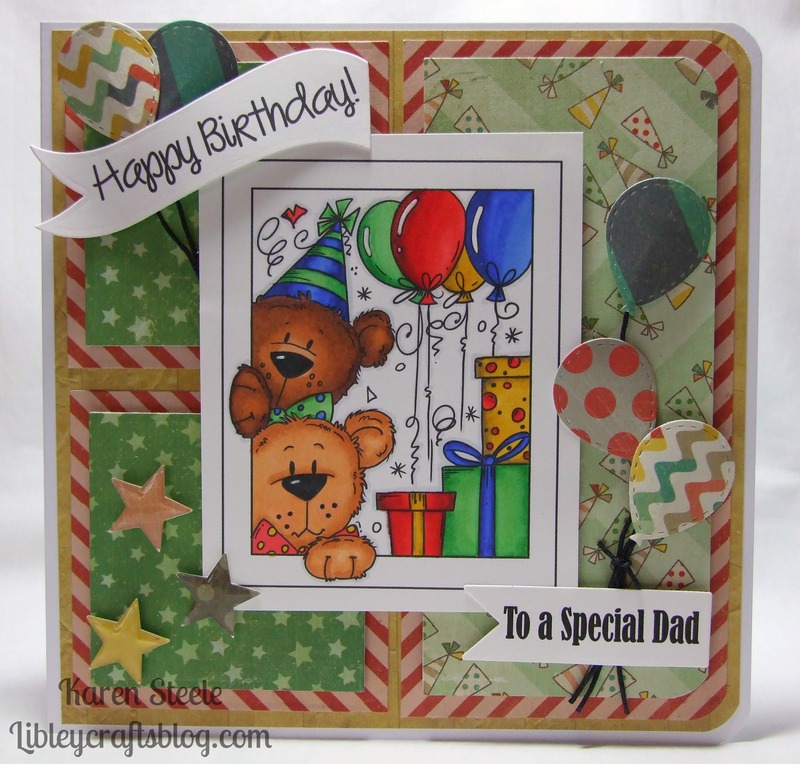 I also used papers by Crate Paper – Party Day, Spellbinders Square and Banner Dies, Balloon Die – freebie in magazine, Epiphany Star Tool, twine and Spectrum Noirs to colour. I am entering this card in the following challenges: Crafty Girlz Challenges (Anything Goes) and Simon Says Stamp Wednesday Challenge (Anything Goes). I love the whole composition of this card, Karen. (HaHa, thought your name was Libley!) You color beautifully and I think those extra balloons are perfect! What a nice card for your hubby! that is so cute! I just got this image too and now I can’t wait to color it! Brilliantly designed, so fun with all the colors and the way you layered the patterned papers!